With many of us leading busy lives and being away from home for hours at a time sometimes we need to be able to safely contain our pets to keep them out of harms way while giving them some space to stretch their legs and play. These pens our functional and versatile options for those times when we have to leave our pets unattended but contained. Here is the rugged ranch pen reviews for 2018. Standing at 6′ 3″ Tall, the Universal Walk-In Pen gives plenty of head room so you don’t have to bend over and plenty of room to get inside to play and spend time with your pets as well as taking care of all the cleaning and maintenance. This pen is made with 2” X 2” powder coated welded wire which includes a welded wire roof and double latch entry to add extra security to keep your pets safe from predators and to keep the “climbers” safely inside. It has a removable back panel that allows for the addition of Rugged Ranch’s Large Dog House or Wood Hutch (both sold separately), making it a stand alone complete home. 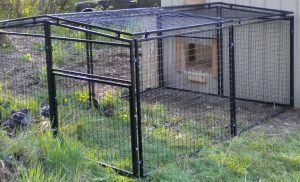 This pen is recommended to house up to 12 chickens or can be used for dogs, cats, large rabbits, small goats or any other pets that need some fresh air. The Universal Welded Wire Pen measures 7′ X 8′ X 48″ and is also made from 2″ x 2″ powder coated welded wire that also includes the welded wire top to add the extra safety to protect your pets from predators and keep your “climbers” safely inside. It has a removable back panel that allows for the addition of Rugged Ranch’s Large Dog House or Wood Hutch (both sold separately), making it a stand alone complete home. 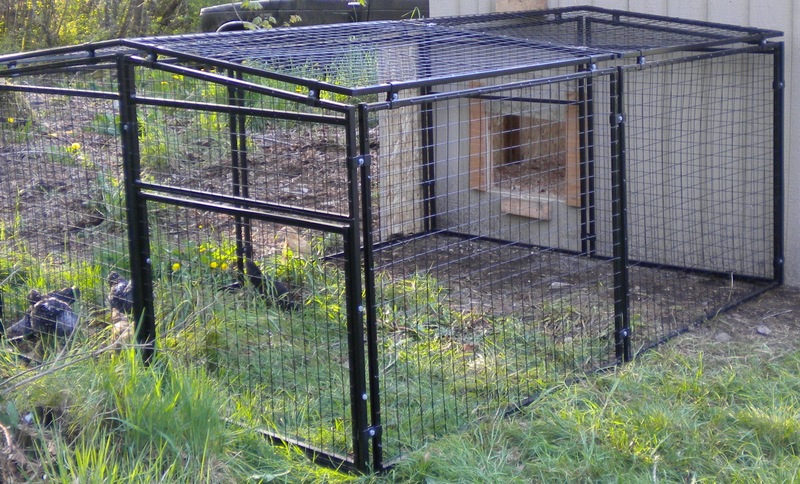 This pen is recommended to house up to 12 chickens or can be used for dogs, cats, large rabbits, small goats or any other pets that need some fresh air. The Spring Fling Mobile Coop is a mobile chicken tractor that measures 96″ x 42″ x 42″. This coop comes with wheels for easy movement, nesting perch, foam handles for comfort when moving and a 3-hole nesting box with a latching drop down access door to gather the eggs. This mobile coop is recommended to comfortably hold up to 9 chickens! But I personally would not use it for more than 6 chickens unless it is moved often. My personal opinion of these pens is that they serve a purpose. I believe they are quick convenient options to safely contain and protect our small critters. I bought my Universal Welded Wire Pen in April 2012 so I’ve had it for almost 6 years now, the only problem I have had is the gate latch has had a little wear and is now starting to rust (a little WD40 and it still works fine) Otherwise it has worked very well for my needs as a quickly assembled chicken run. If you are using this pen for a fixed in place permanent pen I would not house more than 3-6 chickens in it. I just think they need more room for scratching around and foraging and they will be down to plain dirt in no time. I would by it again, but I would get the “Walk-in” version as it would make cleaning inside much easier. 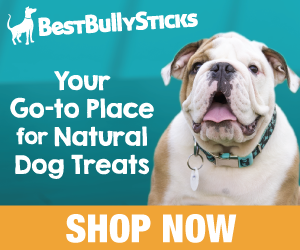 So if you are in the market for a pen for your dog, cat, rabbit, chickens, ducks or any other small to medium size animal click on the links to purchase yours. Please leave me any comments or questions you have in the comment section below. I get paid commissions for purchases made though the affiliate links in this post. This does not change the price you pay. We are a participant in the Amazon Services LLC Associates Program, an affiliate advertising program designed to provide a means for us to earn fees by linking to Amazon.com and affiliated sites. I first learned about the Rugged Ranch Pens from your site. Based on your recommendation I decided to try one out. I have two large dogs, but I can not just let them run freely at times. Anyway i went with the Universal Walk-In Pen, and I love it! It is very well built and was pretty easy to assemble! Just wanted to thanks for the great recommendation!